On June 23, 2014, the U.S. Supreme Court partially upheld and partially overturned federal rules regulating greenhouse gases (GHGs) from new and modified major stationary sources under the Clean Air Act. As adopted by the U.S. Environmental Protection Agency (EPA or the Agency), these federal rules required new and modified major sources of GHG emissions to obtain Prevention of Significant Deterioration (PSD) and Title V operating permits and to implement emission limitations for all emitted pollutants including GHGs. Util. Air Regulatory Grp. v. EPA, No. 12-1146 (2014). The two primary holdings in the opinion, written by Justice Scalia and joined in whole by Chief Justice Roberts and Justice Kennedy, each relied on a different collection of Justices to reach a majority. First, a 5-4 majority of the Court—consisting of Justices Scalia, Roberts, and Kennedy and joined by Justices Alito and Thomas—determined that an increase in emissions of GHGs at a stationary source not already subject to PSD and Title V permit requirements could not on its own trigger those requirements. However, a separate majority—consisting of Justices Scalia, Roberts, and Kennedy and joined by Justices Breyer, Ginsburg, Sotomayor, and Kagan—held that once a source becomes subject to PSD permitting requirements by virtue of emissions of other pollutants (such as criteria pollutants), EPA may require “best available control technology” (BACT) for any non-trivial GHG emissions from that source. The Supreme Court’s decision, a review of six separate challenges consolidated under the heading Utility Air Regulatory Group v. EPA, overturns certain aspects of the 2012 U.S. Court of Appeals for the District of Columbia (“D.C. Circuit”) case Coalition for Responsible Regulation v. EPA, 684 F.3d 102. However, as noted in the October 23, 2013 VNF Alert on the granting of certiorari in this case, the Supreme Court did not take up other aspects of the D.C. Circuit opinion, including the upholding of EPA’s determination that GHGs endanger public health and welfare (the Endangerment Finding), or its promulgation of GHG emission standards for new light duty motor vehicles (the Tailpipe Rule). This decision will have limited practical impact on the scope of GHG emissions covered under the PSD program. It also does not have a direct impact on EPA’s recent proposed rules setting emission standards for new and existing power plants under section 111 of the Clean Air Act (for more on those rules see the relevant VNF alerts on New Sources, Modified Sources, and Existing Sources). However, the reasoning in this case could support an argument for limiting the extent to which EPA may claim authority to regulate GHG emissions through new paradigms and nontraditional measures for reducing GHG emissions under section 111 of the Clean Air Act. The Clean Air Act’s PSD provisions require any “major stationary” source that is either newly constructed or modified and that will cause a significant increase in emissions to obtain a preconstruction permit. The permit must include, among other things, an emissions limitation based on “best available control technology” (BACT) for each regulated air pollutant emitted from the new or modified source, including pollutants that would not have triggered the PSD permit requirement in the first instance. PSD permits are generally issued by state permitting agencies or, in a few instances, by EPA. The BACT emission limitation is determined for each source on a case‑by‑case basis. Under the Clean Air Act, a new or modified major stationary source is subject to the PSD permitting requirements if it emits more than 100 tons per year (tpy) of “any air pollutant” (except for certain sources for which the threshold is 250 tpy). The PSD provisions are found in a part of the Act that otherwise mostly addresses “criteria” air pollutants, which are pollutants for which EPA has established National Ambient Air Quality Standards (NAAQS). However, since 1978, EPA has interpreted the statutory phrase “any air pollutant” to mean any air pollutant “subject to regulation” under the Clean Air Act, and therefore not just criteria pollutants. EPA’s regulation of GHGs originated with the Supreme Court’s decision in Massachusetts v. EPA, 549 U.S. 497 (2007). In the 5-4 Massachusetts decision, the Supreme Court held that GHGs are “air pollutants” that can be regulated under the Act, but that EPA can regulate GHG emissions from new motor vehicles only if the Agency makes a science-based “Endangerment Finding” that motor vehicle GHG emissions cause or contribute to the endangerment of public health and welfare. (See the April 2, 2007 VNF Alert). In December 2009, EPA issued the Endangerment Finding, which concluded that (1) six classes of GHGs endanger public health and welfare by causing global climate change, and (2) GHGs emitted from new motor vehicles contribute to such endangerment. (See the December 9, 2009 VNF Alert). Based on this Endangerment Finding, EPA promulgated GHG emission standards for new light duty model year 2012-2016 motor vehicles in its April 2010 Tailpipe Rule. (See the April 6, 2010 VNF Alert). EPA has since expanded these emission standards to additional model years and vehicle classes. In April 2010, EPA issued a “Timing” Rule that specified the date by which facilities would become subject to PSD and Title V permitting. Reaffirming its 1978 interpretation of the PSD provisions, as part of the “Timing Rule,” EPA issued an interpretive rule that the regulation of GHGs under the Tailpipe Rule made them pollutants “subject to regulation,” thereby triggering PSD and Title V permitting requirements for new and modified major stationary sources that emit GHGs. Writing for different majorities on the two key issues in the case, Justice Scalia rejected EPA’s broadest interpretation of its authority, but largely kept intact the practical effect of GHG regulation under the PSD program by upholding EPA’s authority to require GHG emission limitations based on BACT for most covered sources. The Supreme Court first considered EPA’s interpretation that a facility’s emissions of a specified quantity of “any air pollutant” included GHGs, thus triggering PSD and Title V permitting for that source. In short, a majority of the Court—Justices Scalia, Roberts, Kennedy, Alito, and Thomas—found that the term “any air pollutant” in the PSD and Title V provisions of the Act did not unambiguously include GHGs (a position EPA had taken due in part to the Supreme Court’s interpretation of the phrase “air pollutant” in Massachusetts v. EPA). Justice Scalia pointed to the fact that EPA had already exercised discretion by interpreting “any air pollutant” to mean “any air pollutant subject to regulation” and that the Agency had made other such limiting interpretations of the phrase “air pollutant” in the context of other sections of the Clean Air Act. Having found that EPA may exercise discretion in narrowing the scope of the phrase “any air pollutant” to fit the particular context in which the term was used, the Court then evaluated whether EPA’s particular interpretation of “any air pollutant” to include GHGs was reasonable in this context. Justice Scalia concluded that such an interpretation was not reasonable, pointing to EPA’s own argument that Congress could not have intended EPA regulate the millions of facilities that would be subject to PSD and Title V but for the Tailoring Rule. Justice Scalia explained that the very fact that EPA’s interpretation required the Tailoring Rule, which rewrote clear statutory direction to regulate all sources that emit greater than 100 or 250 tpy, was evidence that the interpretation was not reasonable in the first instance. Without identifying any specific interpretation of “any air pollutant” that it considers reasonable, the Court held that PSD and Title V requirements cannot be triggered by the emission of GHGs. In accordance with section 165 of the Act, any source already subject to PSD permitting requirements (that is major facilities that have already triggered PSD) must install BACT for “each pollutant subject to regulation under [the Act] that it emits.” The Court held that EPA’s interpretation of the phrase “each pollutant subject to regulation” to include all pollutants subject to regulation (including GHGs) was permissible. The Court rejected arguments that applying BACT limits to GHG emissions is fundamentally unreasonable. Pointing to EPA guidance on determining BACT for GHG emissions, Justice Scalia expressed some concern regarding energy efficiency as a primary BACT option. However, the Court was ultimately satisfied that other BACT options in EPA’s guidance, including carbon capture and storage (CCS), are similar enough to the “traditional, end-of-stack BACT technologies” that EPA’s interpretation of “each pollutant subject to regulation” could permissibly include GHGs. Additionally, the Court relied on EPA’s consistent interpretation of this provision as applying to all pollutants subject to some regulation under the Clean Air Act. Justice Breyer wrote an opinion, joined by Justices Ginsburg, Sotomayor, and Kagan, concurring with the majority on this issue of BACT, but dissenting as to whether the Clean Air Act allowed EPA’s triggering interpretation. Justice Alito, joined by Justice Thomas, generally expressed reservations with the application of GHGs to the Clean Air Act, as required under Massachusetts v. EPA. In that spirit, Justices Alito and Thomas concurred with the majority opinion to overturn EPA’s interpretation of “any air pollutant” to include GHGs, but dissented as to whether EPA’s interpretation of its BACT authority was reasonable, concluding that “the PSD permitting process is simply not suited for use in regulation” of GHGs. The majority opinion is unlikely to have a significant impact on most sources for which EPA requires GHG emission limitations. As the majority opinion acknowledges, 83 percent of GHGs are emitted from “anyway sources”—facilities that are already subject to PSD and Title V requirements because of their emissions of criteria pollutants. Adding in sources that emitted enough GHGs to exceed the limits established by the Tailoring Rule but that are not already subject to PSD would only have added an additional 3 percent of GHG emissions from stationary sources to cover 86 percent of GHGs from stationary sources. Most sources with significant GHG emissions—including power plants, refineries and other large industrial sources—emit sufficient quantities of conventional pollutants to trigger PSD and Title V. Such sources, when newly constructed or modified, will continue to be required to install BACT for GHGs. In determining which issues to review from the D.C. Circuit, the Supreme Court explicitly did not grant certiorari and so let stand the D.C. Circuit’s decisions upholding the Endangerment Finding and the Tailpipe Rule. Therefore, this decision does not directly impact EPA initiatives to regulate GHG emissions under other sections of the Clean Air Act. Moreover, the Court did not reconsider Massachusetts v. EPA, the basis for other EPA regulation of GHGs under the Clean Air Act. However, language in the majority opinion suggests EPA’s authority to issue such regulations may be limited in scope. Justice Scalia’s opinion cautions that “when an agency claims to discover in a long-extant statute an unheralded power to regulate a significant portion of the American economy, we typically greet its announcement with a measure of skepticism.” Such skepticism would be amplified when, as here, EPA’s exercise of discretion resulted in altering the clear statutory direction of the Act. However, in dissent, Justice Breyer emphasizes that Congress made “an intentional effort” to account for “changing circumstances and scientific developments.” These contrasting visions of the scope of EPA’s authority to craft regulation of GHGs in new ways, and the extent to which EPA’s interpretation is of ambiguous language or clear statutory direction, will likely form the basis for future litigation. Another potential issue is that Justice Scalia’s opinion justifies the reasonableness of EPA’s authority to require BACT for GHG emissions, at least in part, on the fact that EPA has acknowledged that BACT may not be used to require a facility to reduce its demand for electricity. 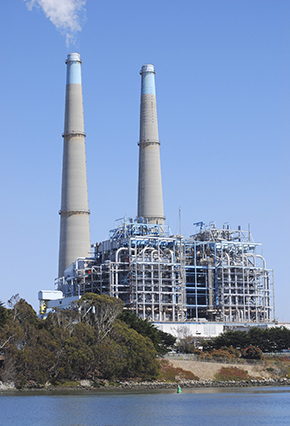 Future litigants may seek to analogize this limitation to EPA’s proposed section 111 regulation for existing power plants, in which reductions in electricity demanded from (rather than by) regulated facilities constitute part of the “best system of emission reduction” (BSER) used to set the stringency of required reductions. EPA may, therefore, need to be prepared to distinguish its justification for determining BACT in the PSD context from its approach to determining BSER, if it decides to rely on end-use energy efficiency measures under its section 111(d) proposal. Van Ness Feldman closely monitors federal and state developments on climate change, air quality, and energy policy, and is in a strong position to provide expert analysis and advice on emerging legislation and regulatory activity, the surrounding policy and political debate, and the implications for your organization. For more information on EPA’s GHG regulations, please contact Kyle Danish, Stephen Fotis, or any member of the firm’s Environment, Air or Climate Change practices at (202) 298-1800. Those interested in on-going coverage of climate change policy developments may wish to subscribe to Van Ness Feldman’s Climate, Energy, & Air Update here.